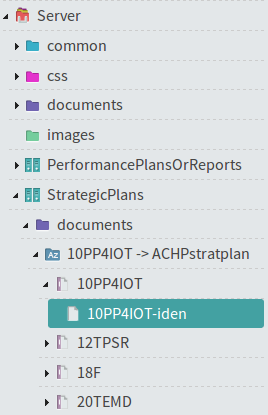 Unified platform to manage ISO 17469-2 standard documents. 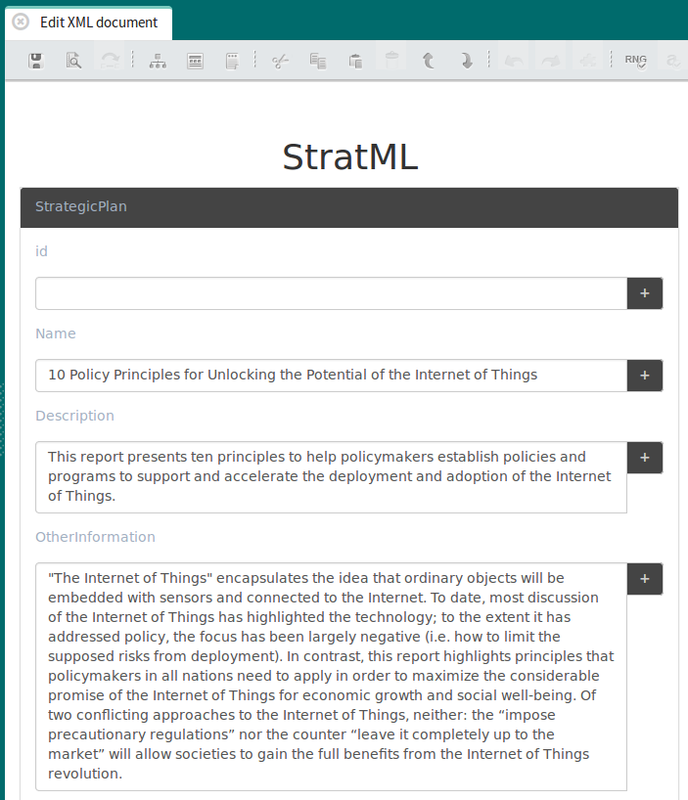 (StratML) is a vocabulary and a XML schema to describe Strategy Markup Language. 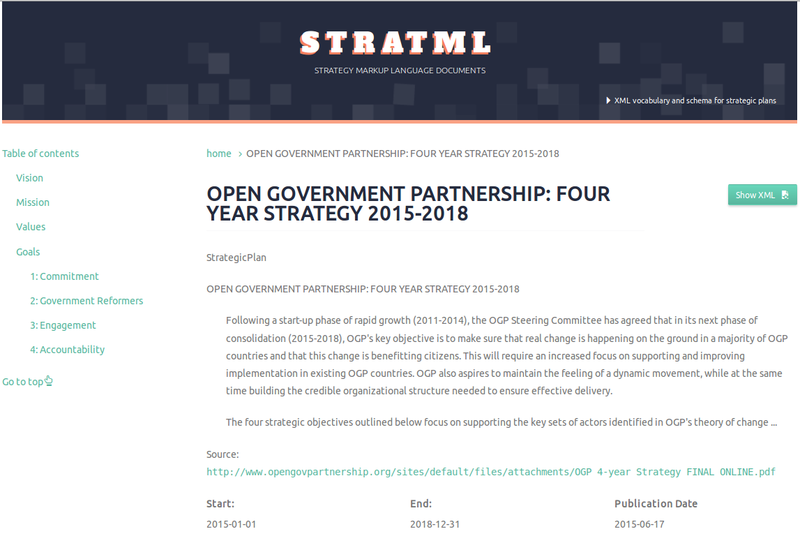 It's already on its 3rd version (August 2014) and now also includes descriptions for reports and strategic plans. 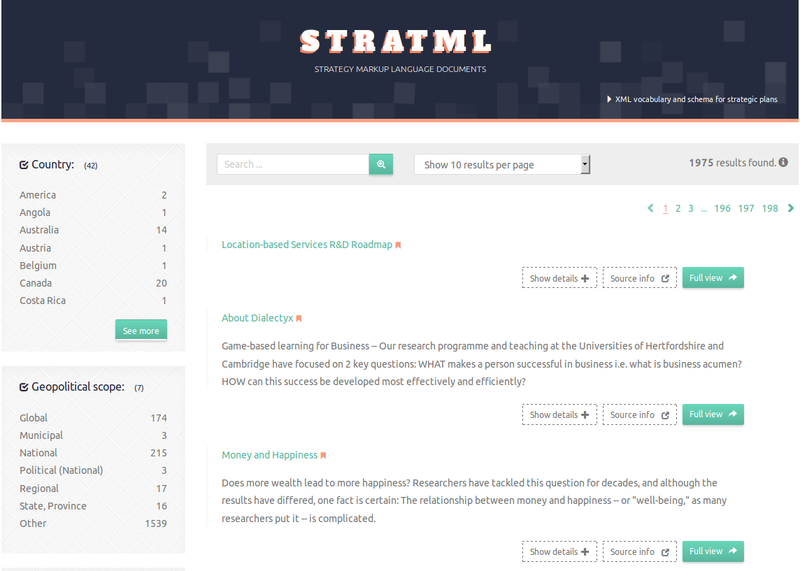 Click on this link for more information about the team responsible for the StratML maintenance. 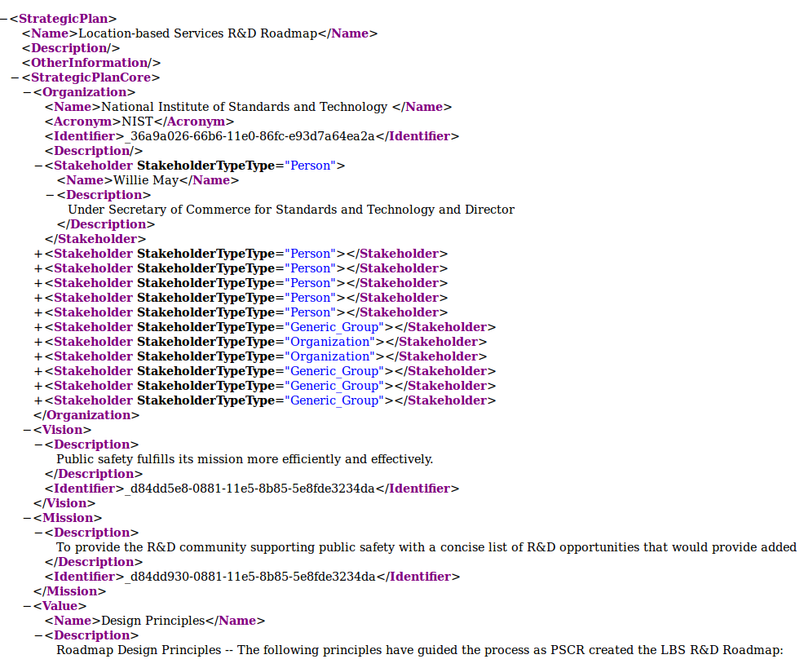 Each XML document contains a lot of information on many aspects that are necessary to collect according to the standard that has been defined. Subsequently, we have indexed all documents to search on them and some of their fields for display in the interface. For this task we use the technology that Apache Solr offers. Using a simple framework and a few hours for design, we created the following responsive portal that allows us to browse and search for specific plans. From this view we have access to the document in XML format and the external original document that describes what or where it is based. A side menu has also been implemented to navigate quickly through the entire document and consult all sections. A brief guide has been released to explain with more detail and precision all the actions carried out in the construction of this platform. You can access it here.